President George Washington has been immortalized in iconic images as a Revolutionary War hero, leading his army to victory, and later as a wise statesman seated in the hallowed halls of early governance -- but a more accurate picture of the man himself would certainly see him surrounded by dogs. In fact, it was one of Washington's beloved canine companions that helped make the man we know today, and in turn the country itself. 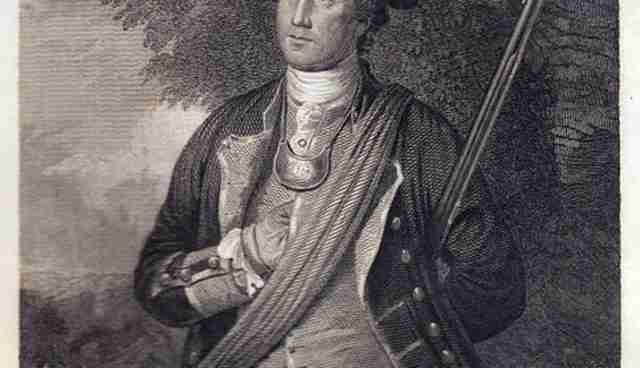 Growing up on his family's plantations, Washington received an education befitting the son of Virginian gentry. Alongside his studies in history, literature, science and mathematics, however, the young man also became learned in animal husbandry. But his interest wasn't limited to livestock. As an avid hunter, Washington sought to create a superior type of hound to accompany him on his morning rides. He eventually turned his focus on breeding dogs -- producing a new type, then known as Virginia Hounds. It is evident that Washington's interest in dogs wasn't merely a clinical one. With names like Lady, Venus, Truelove, Music, it's clear that Washington's dogs had a special place in his heart. In his early twenties, Washington's passion for working with dogs was put on pause as he began a career in the army, eventually rising to the rank of commander and chief of the Virginia militia in the French and Indian War. In that role, he gained notoriety as a skilled military leader, though after the war concluded he married and returned to Mount Vernon, settling into a quiet life of farming and breeding hounds in the estate's numerous kennels, achieving success in both pursuits. By the earliest grumblings of revolution following the passage of the Stamp Act in 1765, Washington was a prominent member of Virginia's social elite. As a staunch and notable patriot, he was selected to represent the colony as a delegate at the newly formed Continental Congress, a position which required him to travel to Philadelphia, away from his family and dogs. Such was his passion for the animals that he took one of his favorite dogs with him, a hound named Sweet Lips. Soon enough, Washington, with the help of his dog, was welcomed into the inner circle of some of the colonies' most influential leaders -- people who would go on to help propel his storied career. One day, while out walking with Sweet Lips, Washington caught the attention of Elizabeth Powel, wife to the wealthy Philadelphia mayor Samuel Powel, who stopped him to ask him about his dog, with both of whom she was clearly impressed. "His movements and gestures are graceful, his walk majestic, and he was walking with a tall, exceedingly graceful dog of the hound type as he strode down Walnut Street," she wrote. After that chance encounter, Elizabeth invited Washington to have dinner with her and her husband, who immediately saw his potential as a leader. Samuel then introduced him to other powerful and wealthy figures in Philadelphia who were equally impressed with Washington's intellect and athleticism -- and of course, his dog. 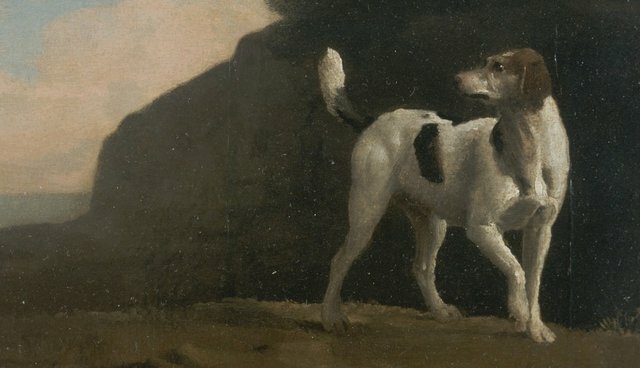 In return for their acceptance, Washington would gift many of them his home bred Virginia hounds. When it came time to raise a Continental army to mount a revolution, the confidence Washington instilled from these important relationships won their important support that saw him unanimously selected as the nascent fighting force's commander, and later on the nation's founding president. But Washington's love of dogs didn't only help shape his legacy, it also had a hand in achieving victory over the British. At the height of the American Revolution, Washington's primary adversary was a talented general named William Howe, commander of British troops sent to squash out the revolution. After achieving a number of crucial victories, like capturing New York City in 1777, Howe had Washington on the defensive. During the battle of Germantown, as the Continental army was weakened against the British advance, soldiers rescued a small dog that had been found unattended on the front lines. When they discovered the dog was wearing a collar that indicated the animal belonged to none other than General Howe, they immediately brought it to Washington, suggesting its capture could help lift his army's spirits. 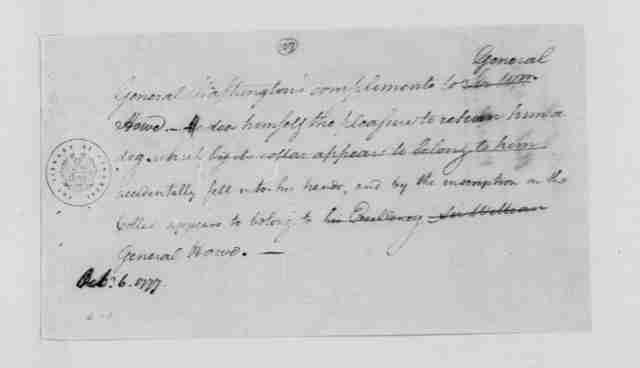 "General Washington's compliments to General Howe. General Washington does himself the pleasure to return to him a dog, which accidentally fell into his hands, and, by the inscription on the collar, appears to belong to General Howe." Following the incident, which Howe called "an honorable act of a gentlemen," the British commander seemed to dampen in his harsh pursuit of victory. Though his army continued to win battles, he showed restraint in crushing Washington's army despite opportunities to do so. When given orders by the Crown to "show little compassion to the rebels," Howe resigned from his position, a decision which was perhaps made in the company of his returned dog. 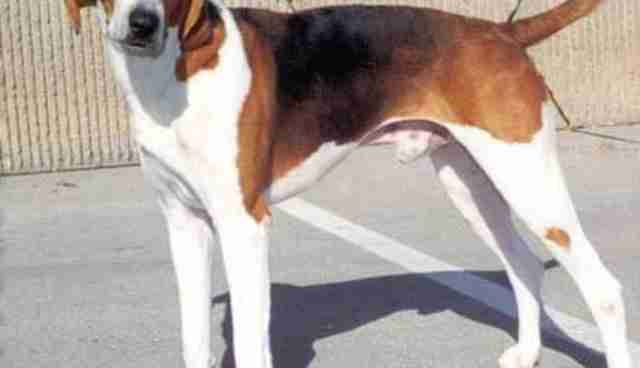 In time, of course, Howe's less-capable replacement was defeated and Washington would return to Mount Vernon where he continued to breed hounds, ultimately perfecting another new breed, American foxhounds, which remain popular to this day. His days of dog breeding would soon be overtaken by another role, President of the United States, a position he was strongly lobbied for by the same friends he had bonded with over dogs. Given his proven skills as a military commander and a legacy as statesmen, Washington would no doubt have emerged as an important figure in the American Revolution with or without a love of canines -- but as such things cannot be rewritten, a trusty hound named Sweet Lips will forever have a place at the crossroads of history.